This post is long overdue. I have shared my travel diary almost a month ago and I am so sorry that I will only be revealing my itinerary and expenses today. March has been a very off and lazy month for the blogger in me. 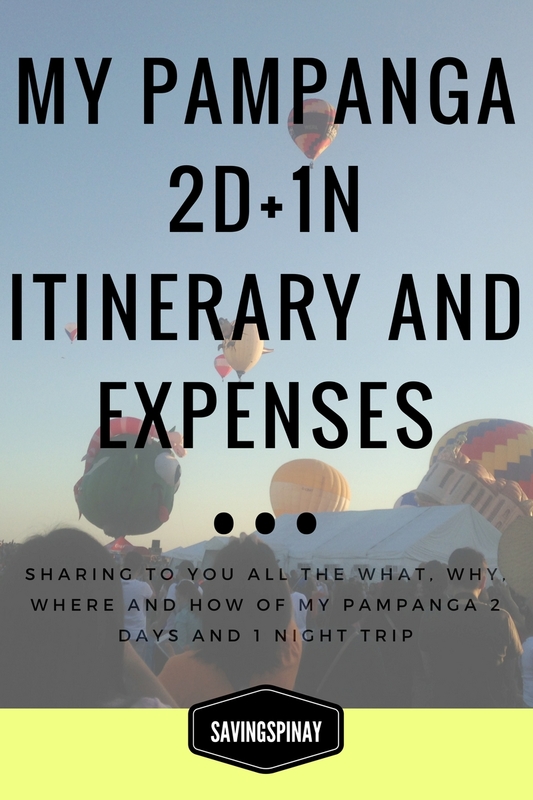 Again My Pampanga Travel Diary is live on IzzaGlino so if you are looking for what happened during my 2D+1N in Pampanga with side story on the recently concluded 20th Hot Air Balloon Festival go over my personal beauty and lifestyle blog. Here at SavingsPinay I will be sharing how our itinerary turned out to be as well as the how much the cost of the trip. I hope this could inspire you to relax and have your own weekend getaway. 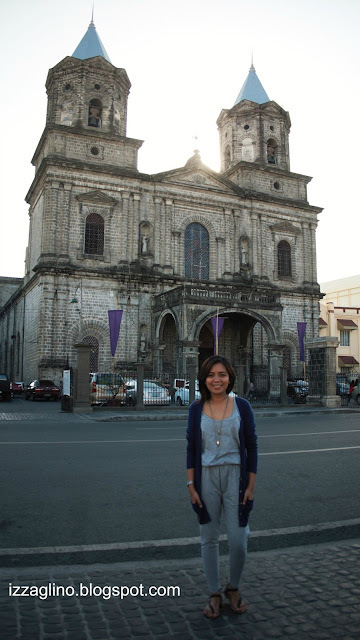 Pampanga is a very nice place to enjoy a quick and affordable vacation. 6:30am: Leave Manila. Our first choice was bus from Five Star Pasay but when we went to the station we were told that there are no bus anymore who will drop off at Dau. Instead we rode a Philtranco Bus which turned out to be a great option because the bus left early. Drop Off Point: Dau Pampanga Terminal is our drop off point. It is where most bus going and coming from Manila stays. 9:30am: Breakfast at Jolibee Dau. We left the house with empty stomachs so the first itinerary of the day is to have breakfast. As much as we like to start experiencing the Kapampanga cuisine, we were really tired and not to mention it was a humid day so we went to Jolibee Dau instead. This is walks away from Dau Terminal and you need to cross the street too. I mentioned on My Travel Diary that the Bayanihan Park Terminal is one of the main terminal that will help you get around Angeles, Pampanga. This terminal is near SM Angeles and Bayanihan Park. Our itinerary for Bayanihan Park is to go to the Balloon Fiesta venue. And there is an epic fail situation that happened here which I revealed on my travel diary. How to Go to Bayanihan Park Terminal from Dau Terminal? From the side of Jolibee Dau ride any jeepney with signage SM Angeles. Tell driver to drop you off at Bayanihan Park Terminal which is evident with the big salakot. From there you can ask around for jeepneys going to Balloon Fiesta. This hotel is a nice place to stay if you are planning going to Pampanga for a weekend trip. They offer a very affordable price and the place is very nice. I will be doing a review about this hotel pretty soon. We visited Museo Ning Angeles as part of our afternoon itinerary. It was well-recommended by one of my manager in the office. We rode a tricycle going to Museo Ning Angeles which is a big no-no if you are in a budget-travel. 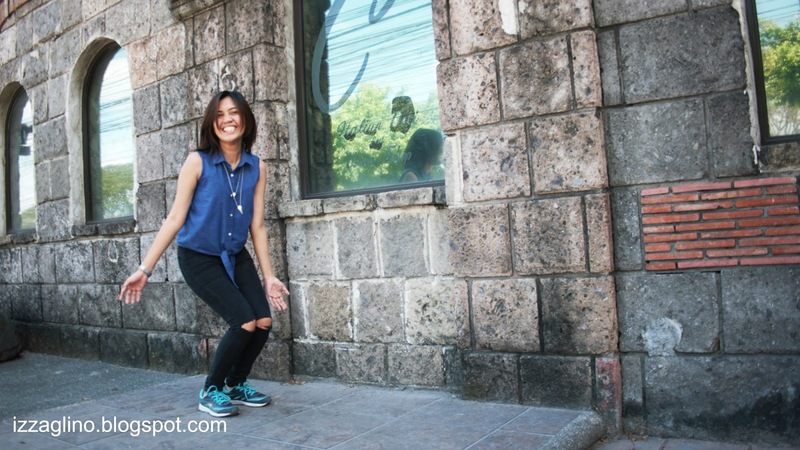 But being the place is super sulit na din cause we had amazing time roaming around the museum and taking photos. I think I went to Pampanga just to finally have a taste of Aling Lucing's sisig. And no doubt, Aling Lucing has the best sisig ever! It is not oily, greasy and doesn't need mayonnaise to taste. Love it! I mean even if its already a month since I went to Pampanga I still remember the taste of the Aling Lucing's Sisig. How to Go to Aling Lucing Sisig? 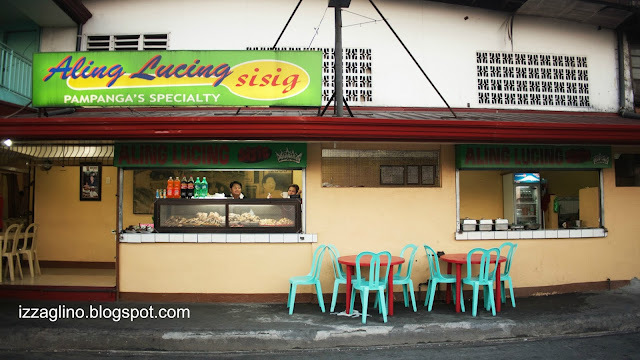 Aling Lucing Sisig is situated in a complicated place for me. We went there after our Museo Ning Angeles trip. 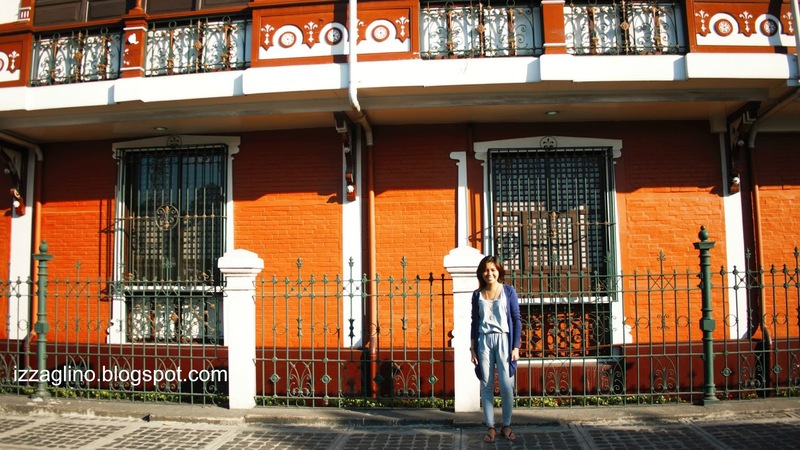 We walked straight from the Museo ng Kasaysayang Panlipunan ng Pilipinas which was sadly closed when we went. We actually followed Google Map to guide us where to walk. Then we rode a jeep with signboard C-Point. TIP!!! It was late for us to realized that there's a direct jeepney going to Aling Lucing's Sisig from Friendship Terminal or Tune Hotel. Just ride C-Point. Their menu is good for 2 by the way. From Friendship Terminal again you will just cross to go to SM Clark. We bought some snacks and toiletries there and had some milk tea too. From Tune Hotel all you have to do is ride a jeepney going to Friendship Terminal. Now from Friendship Terminal you need to walk towards Bayanihan Terminal. Make sure to leave early because you will surely be caught in a traffic on the way. Jeepney from Bayanihan to Balloon Fiesta: 10pesos. To read more on my Balloon Fiesta Adventure click HERE. I regret dining in Binulo just because I didn't enjoy their food. This is actually the only time we spent so much for food. Our total bill over Aling Lucing is just 400pesos while here at Binulo we spent 1,200pesos ++ and we didn't enjoy at all. Then we are all set to go back to Manila!!!! Of course we have to check out first before anything else. Again ride a jeepney going to Friendship terminal then walk a little over to Bayanihan Terminal. You can walk your way to Dau Terminal (which I don't suggest by the way) or ride a jeep for your convenience. Bus going to Cubao: 139pesos. PS. I hope you can also read My Travel Diary in IzzaGlino!!! 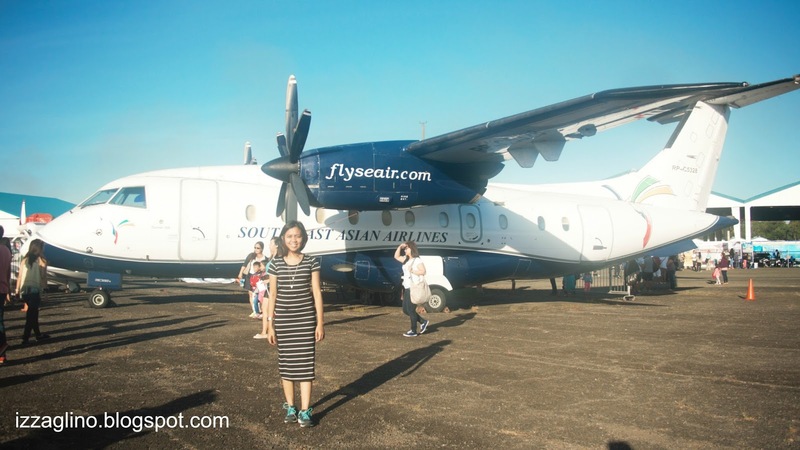 1 comment on "My Pampanga 2D+1N Itinerary and Expenses"
Pampanga is one of the best place to have a tour with family and friends. Tourism is an ever-growing industry especially after the 1991 Mount Pinatubo eruption. The tourist spots include heritage churches and shrines, historical landmarks and natural parks. Nice photos though, thanks for sharing the lovely places!